Friend and colleague Dr. Lyle Rapacki, a Protective Intelligence and Assessment Specialist and member of International Association Law Enforcement Intelligence Analysts, is the founder and CEO of Sentinel Intelligence Services, LLC. 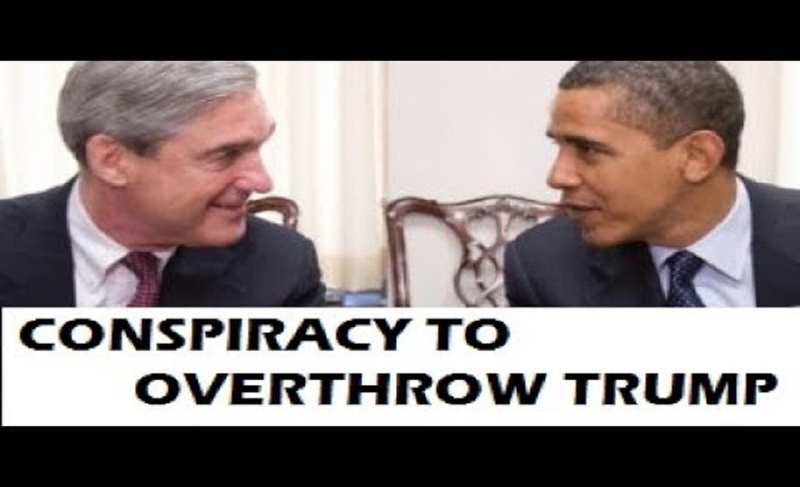 Quite regularly new revelations appear about the illegal intelligence operations launched on Donald Trump and his campaign by members of the Obama-wing of the Deep State. Quite regularly said charges and accusations are vehemently denied by an array of U.S. Federal agencies and departments along with multiple levels of senior management in those agencies and departments, according to an intelligence briefing by Dr. Lyle Rapacki. While the mainstream news media search and search for proof that President Barack Obama and his minions never wiretapped or spied on then-presidential candidate — now President — Donald Trump, a former criminal court judge from New Jersey surprised a morning news show’s audience with a shocking revelation: three different intelligence sources have alleged that President Obama was aided by a British spy agency to electronically eavesdrop on Donald Trump and his campaign. Additionally, prima facie evidence exists that demonstrates the Obama Administration, and specifically Susan Rice, National Security Adviser for Obama, was directly involved. 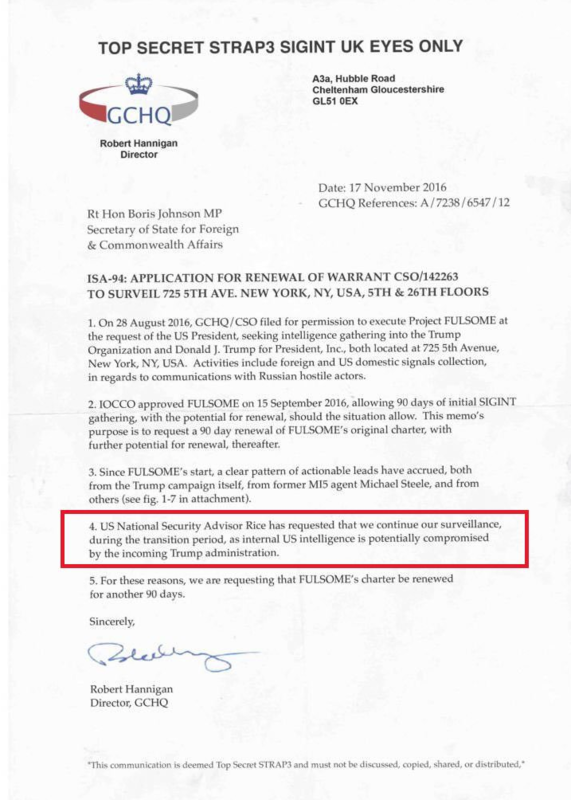 Apparently, the GCHQ head, Robert Hannigan, who signed this document, left the agency 3 days after the Trump inauguration. If proven authentic, this document reveals he collaborated with Susan Rice to illegally spy on Trump. Mentioned below is still another lie exposed clearly demonstrating that Mr. Trump and his campaign were the focus of an intelligence operation involving our supposed strongest ally, Great Britain. We await developments. How long, O Lord– how long?